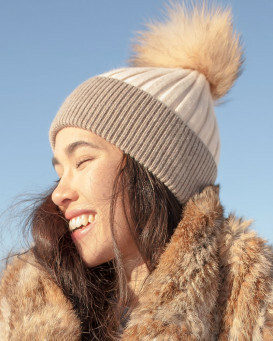 Youthful fun in our The Ky Double Pom Pom Beanie in White for women. 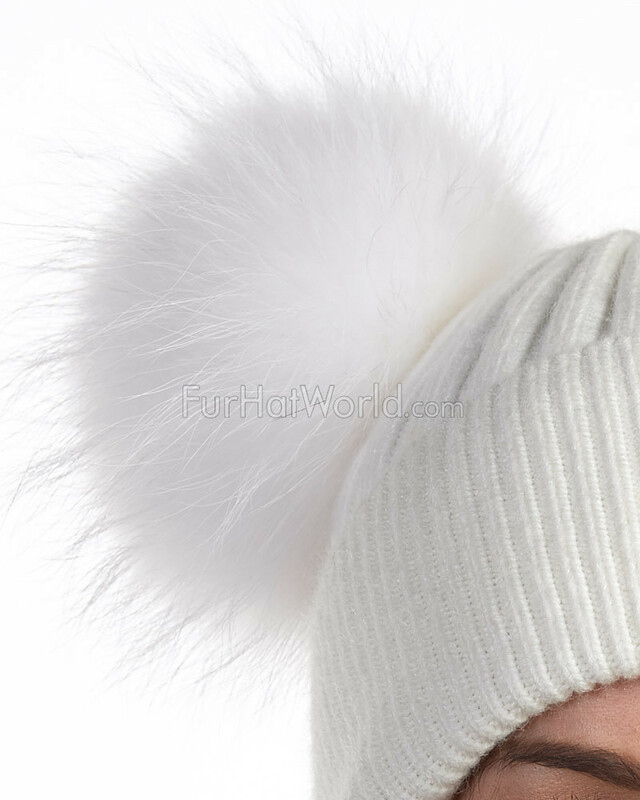 This funky design is crafted with a soft white shell and two large Finn raccoon fur pom poms. 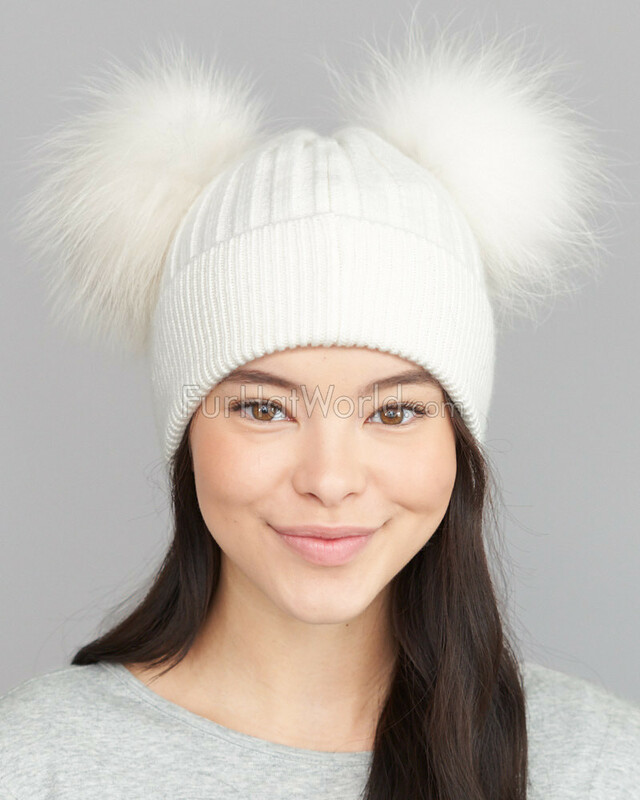 The pom poms can be removed for a new style. A fold over adjustable cuff brings out the attitude of the cap. The white stretchy knit makes a one size fits all appeal. 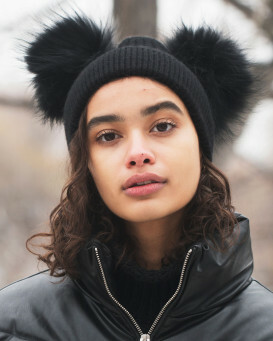 This beanie is unlined for your comfort. This accessory is sure to turn heads whether you wear it out on the town or a day running errands. You'll discover it's perfect for fall and winter activities! 5.0 / 5 from 19 customer reviews. 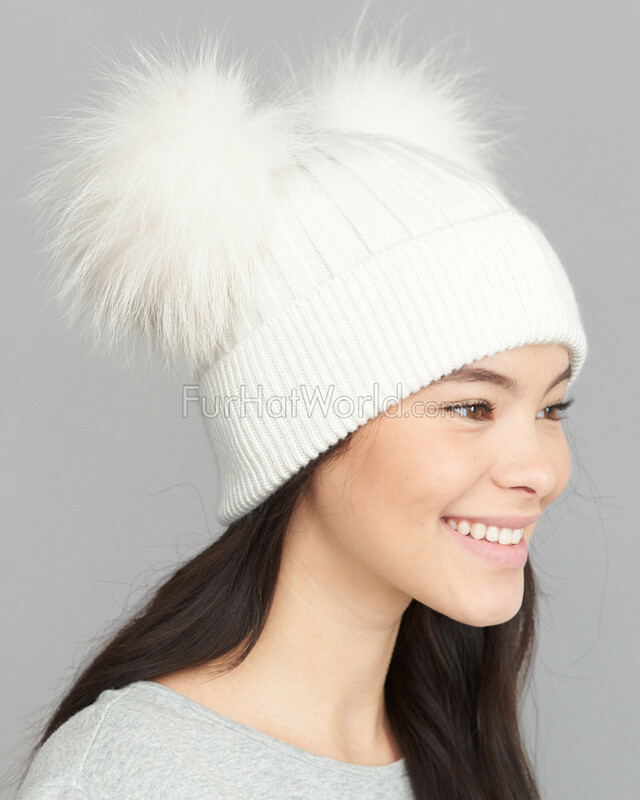 "I ordered this hat having spent last winter trying to find similar. It arrived much quicker than expected and I have to say I loved it so much, I immediately ordered another one in black. I think it looks even better than in the picture. 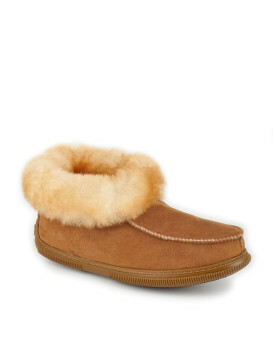 I may even treat myself to one in every colour!" "Love it! So cute and stylish!" 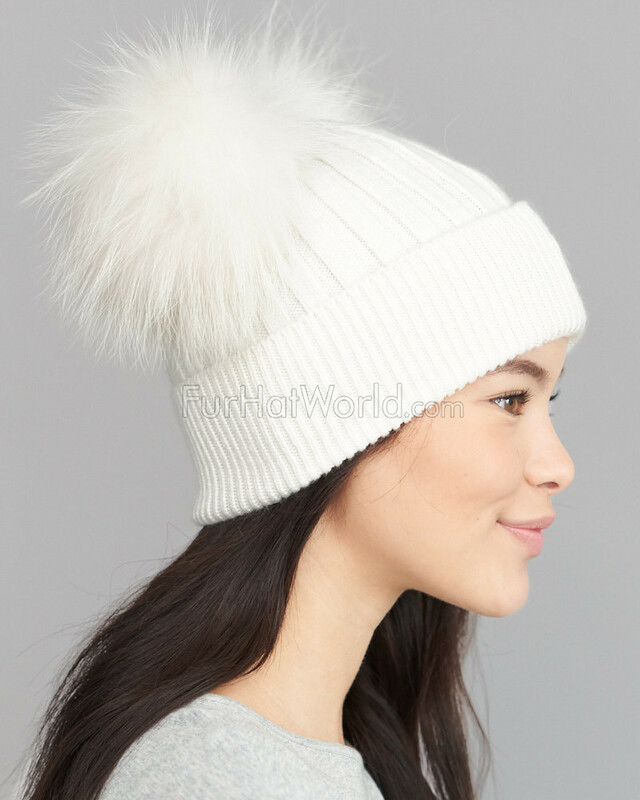 "Beautiful double pom hat! Great quality! 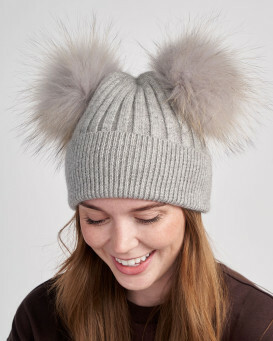 Purchased it for my teen daughter but think I’ll order one for myself- love it!" 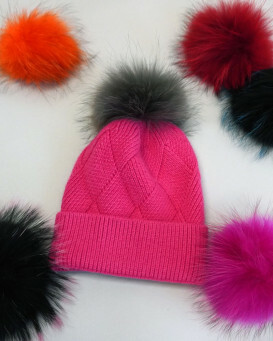 "Purchased my second Double Pom Pom Beanie! 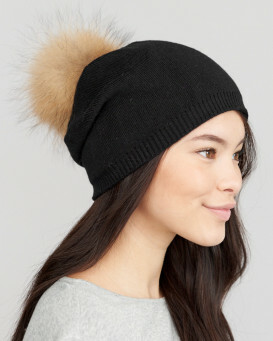 Basic Black & the poms are soooo luxurious. The compliments are non stop. THX for the quality FHW ???? Furhatworld.com??" "Loved it so much I purchased 2 more!" "The hat is beautiful, I love it! Outstanding quality, You can wear it with anything. Great website in regards to a perfect site to order from. Thank you." "looks & feels very nice. fits great too, unexpected bonus since most knit hats are always too big on me. have not warn it yet but looking forward to"